Company - BBC Pump and Equipment Company, Inc.
BBC Pump and Equipment Company, Inc. began operations in July 1981 as a distributor of pumps and associated equipment, as well as a fully outfitted pump service company. The three founders of BBC all grew up in the pump industry. 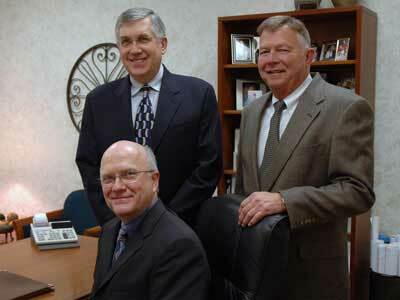 Bill Crandall, Bill Baar and Dell Brinker had all worked for a major pump manufacturer. Each had individual goals that brought them together to create a top-tier distributorship to service the Indiana market. Our mission is to provide customer oriented service through the proper application of quality pump equipment. Working toward accomplishing this mission has lead to our growth over the years in the markets we serve, the number of people we employ, the number of manufacturers with which we are associated and the size of our facility. BBC is involved in the Commercial / Building Trades, Fire Protection, Industrial and Municipal markets. Being involved in all four of these market areas makes BBC the most well rounded pump distributorship in the state of Indiana. BBC has grown to have a staff that includes specialized outside sales personnel for the various markets, a full inside support staff and a service department for both business and home pump applications. Our product associations have also grown with our company over the years. These product associations have been planned strategies and came to be through diligent effort by the entire BBC Pump staff. Our goal in all markets has been to associate our company with quality manufacturers with whom we can build loyal relationships. The various manufacturers with whom we are associated allow us the ability to solve most any liquid pumping application. When BBC began, we shared space with a machine shop on the west side of Indianapolis. From 1982 through 2001, BBC was located at 1125 West 16th Street in Indianapolis where we expanded our facility twice before moving to our current location near the Indianapolis Motor Speedway. In Janurary of 2002, BBC moved to 777 North Tibbs Avenue in Indianapolis. We currently have 31,500 square feet under roof. BBC Pump’s dedication to both our customers and vendors has attracted some of the best pump professionals in the industry. BBC is ready and willing to find the right pumping solution for any application in any industry. Let BBC Pump and Equipment help you with your project or service and upkeep today.